An Unspoilt Harry Colt 18 Hole Masterpiece. A wonderful test of golf. A members’ owned 18-hole golf course, designed by Harry Colt. Harborne: The course is open and on full greens. There are no restrictions on buggies and trolleys. 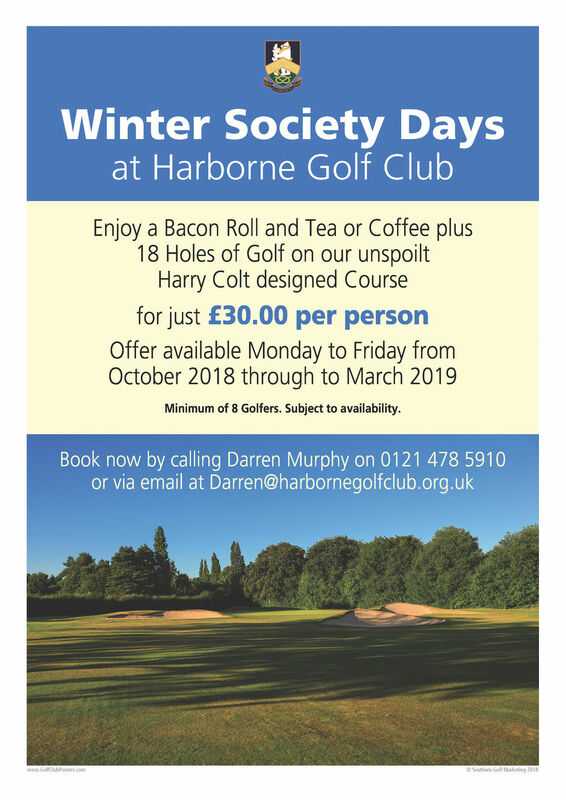 Becoming a member of Harborne Golf Club not only gives you the key to our stunning course and facilities, but also makes you part of a 125 year old family, passionate about golf. We regularly welcome visiting parties and societies, with our expert team on hand to ensure that you & your guests enjoy a great golfing experience! We have a track record for providing a successful venue, so why not let us host your event? ​has a fantastic landscape that offers a superb golfing experience. 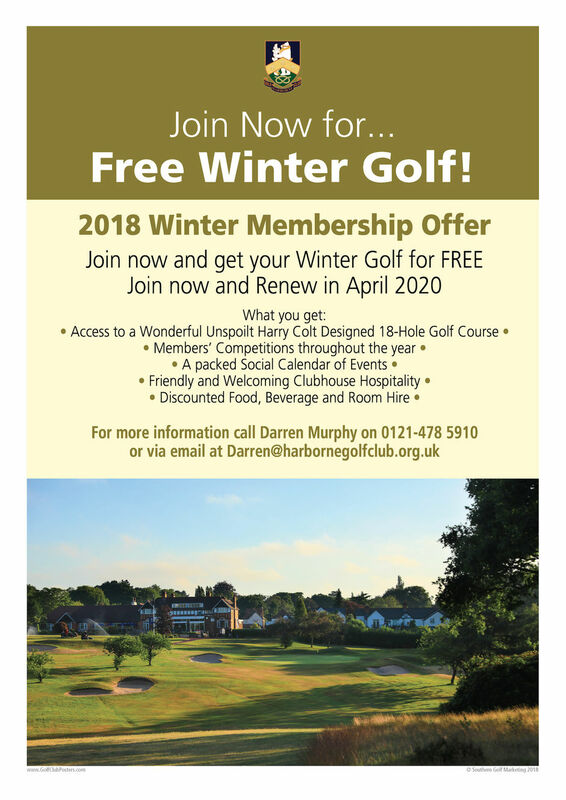 The stunning facilities here include our member’s clubhouse, lounge, dining room and outside terrace, along with private and large function rooms, all of which boast panoramic views across the course. 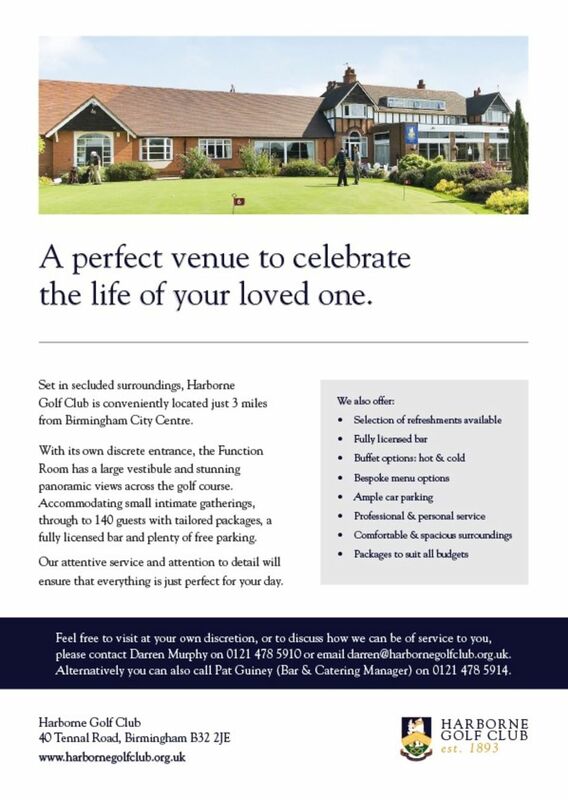 Situated just three miles outside of Birmingham city centre and five miles from junction 3 of the M5, Harborne Golf Club warmly welcomes members, guests, corporate events, weddings and those celebrating special occasions.